Business interruption insurance covers lost income and operating expenses when a disaster forces a business to slow operations or temporarily close down. Covered events include vandalism, fire, and some natural disasters. Business interruption insurance can be purchased as part of a business owner’s policy or added on to a commercial property policy. Imagine if you suddenly had to close down your business tomorrow, and you had no idea when you’d be able to get it running again. It’s pretty scary for a small business owner to face such a thing, especially if you (or your employees) depend on your business for a livelihood. But fires, vandalism, storms, and other events can strike unexpectedly. Fortunately, you don’t have to live in fear of this happening. Business interruption insurance is a type of small business insurance that can help you stay on your feet even if you company is hit by a disaster. 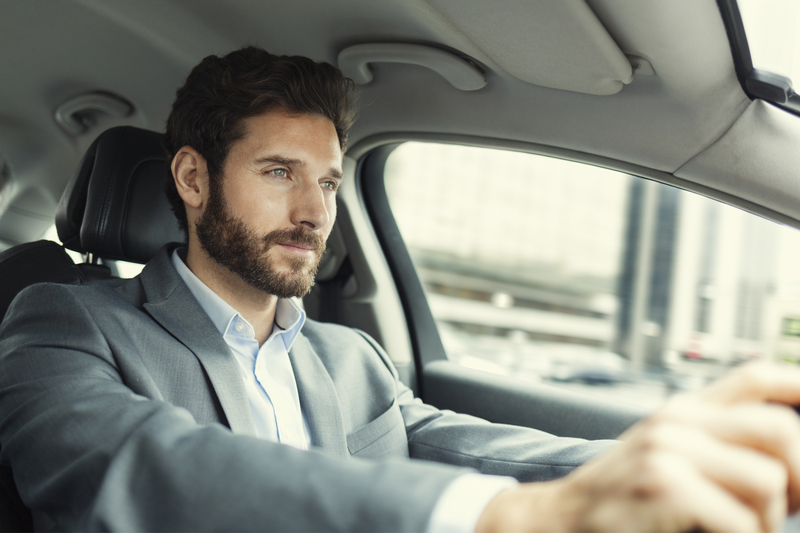 This insurance can replace income that you lose during a slowdown or shutdown, allow you to continue paying yourself and your employees, and cover operating expenses until you’re back in business. Learn more about business interruption insurance, what it does and doesn’t cover, the cost of this coverage, and where to purchase it. Business interruption insurance (BII), also called business income coverage, replaces lost income and pays for operating expenses when events beyond your control force your business to slow operations or shut down. This can be vital to a business’s continued success, but only 35% of small businesses actually have business interruption coverage, according to the National Association of Insurance Commissioners. Many small business owners forego business interruption insurance, assuming that their standard commercial property insurance or general liability policy will suffice. Commercial property insurance will repair or replace property that’s damaged or stolen. However, it won’t cover lost income or future expenses—which can be essential to keep your business going after a disaster. If you have a brick-and-mortar business, you’re most in need of business interruption insurance because you heavily depend on your store and the physical assets inside it. If you need to close down a portion or all of your shop, you clearly lose potential customers. Home-based and online business owners have less of a need for business interruption insurance, but should still consider their situation. Most homeowners policies won’t cover lost business income. And although online businesses might have their own physical assets, business interruption insurance can still help if a supplier in your supply chain is affected by a disaster. You can’t buy business interruption insurance on its own. You either add it on to commercial property insurance or buy it as part of a business owner’s policy (BOP). A BOP combines general liability and property insurance in one policy and is more affordable than buying each type of coverage on its own. What Does Business Interruption Insurance Cover? Business interruption insurance is both backward- and forward-looking in terms of coverage. It covers income that you’ve already lost from a disaster, but it also covers the things you’ll need to keep your business operating and recover. Lost income: This includes the estimated profits you would have made if your business hadn’t experienced a disaster. Payroll costs: The insurance will ensure that your employees get their paychecks even if disaster hits your business. Business loan payments: If you miss payments on any business loans, you could end up paying interest or penalties. Business interruption insurance lets you keep up with loan payments. Taxes: Business interruption insurance gives you the money needed to cover your small business taxes, even if your regular income sources are interrupted. Relocation costs: You can claim insurance benefits if you need to temporarily move your business while the original location is being repaired. Lease/mortgage payments: Business interruption insurance will let you keep paying your lease or mortgage payments. Your landlord’s insurance likely doesn’t cover tenants, so you should have your own business interruption insurance. Fires, storms, riots, vandalism, and theft are examples of events that would trigger business interruption insurance. Floods and earthquakes usually require separate commercial flood insurance or earthquake insurance. Your commercial property insurance and business interruption insurance are two separate policies, but they work together. Commercial property insurance covers the repair or replacement of damaged property, and business interruption insurance makes sure that your business can keep operating despite the financial losses that the property damage might cause. Business interruption insurance is a very specific type of coverage designed to keep a business on its feet when it’s recovering from a disaster or unexpected situation. Utilities: If your business premises are rendered completely unusable, you should call the utility provider to stop service, so most insurance companies won’t cover utility costs. Floods and earthquakes: This requires separate commercial flood insurance or earthquake insurance. Direct property damage: Commercial property insurance insures your business’s belongings. Business interruption insurance is for the ensuing loss of income and expenses. Employee injuries: Business interruption insurance will help you pay your employees’ wages. However, to insure against physical injuries or illnesses that happen while working, you need workers compensation insurance. Liability: Business interruption insurance is not a form of liability insurance, which means that it won’t cover you for lawsuits arising from any property damage or bodily injuries that your company causes. Voluntary closures: It shouldn’t come as a surprise that voluntarily closing your business doesn’t allow you to claim any insurance benefits. Seasonal slumps: Seasonal slumps or natural business trends are also not something that an insurance company will cover. For example, say you have a retail wine shop in Portland, Oregon, that imports wines from a wholesale supplier in Napa, California. A fire in Napa forces the supplier to close down for several weeks, disrupting your supply of wine and slowing down your sales. If you have appropriate coverage in your business interruption insurance policy, you could claim benefits for lost income. What’s the Cost of Business Interruption Insurance? Business interruption insurance can only be purchased as an add-on to a commercial property policy or as part of a business owner’s policy (BOP). The average cost of a BOP is $1,191 per year, according to business insurance marketplace Insureon. Business location: Location in an area that’s prone to natural disasters will increase premiums. Business size: Businesses with larger premises take longer to rebuild and are costlier to rebuild. Type of business: A business like a restaurant with many physical assets will pay more than an online business. Business’s claims history: Having a clean claims history could earn you lower premiums. Safety measures to protect your business premises: Having a sprinkler system, security cameras to deter looters, or other safety mechanisms could lower your premiums. How Much Business Interruption Coverage Do You Need? Obviously, a big factor that affects your cost is the amount of insurance coverage you’re looking to get. In order to calculate how much business interruption coverage to buy, you first need to figure out how much you stand to lose in a worst-case scenario—if a disaster hits your business and leaves it completely unusable. Calculate your business’s projected income. Estimate your business’s annual income for the coming year, and divide your estimate by 12 to get projected monthly income. Calculate how long it would take to get your business running again. This is called the period of restoration. For instance, if your business was completely destroyed, you would have to call an insurance adjuster and appraiser to appraise the losses, an architect to design a new building, and a contractor to construct a new building. You might have to relocate while you wait for the new building to be ready. This period of restoration could take several months, depending on the size of your business. Calculate lost income and operating expenses during the period of restoration. Since you know your monthly income, add up how much income you’d lose during the period of restoration. You should also write down your monthly expenses for that time period, such as employee wages, loan and rent payments, and taxes. Keep in mind that the amount of money you’ll receive from the insurance company for each claim is based on records of your business income and expenses, so you should have an effective business accounting software or system. According to Cate Steane, founder of Make It Happen Preparedness Services, “Having a BII policy is useful only if you have current, accurate documentation of your business revenues and expenses. Having a good bookkeeper and having your financial records on the cloud is critical to successful pursuit of business interruption claims.” If there are disagreements about the amount of loss you experienced, the insurance company will call in an appraiser. Remember that you can’t buy business interruption insurance on its own. You have to buy it along with a commercial property policy or as part of a BOP insurance package. 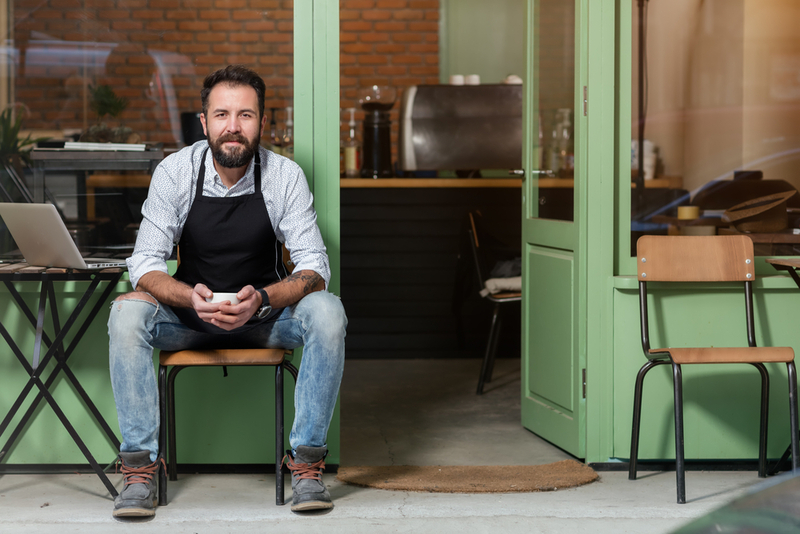 Small businesses with 100 or fewer employees and up to $5 million in annual revenue are usually eligible for BOPs, and you can find them at almost any midsize or large insurance company. When shopping around for insurance, don’t focus just on saving money. The goal is to get the right amount and type of coverage you need for the best price. You should also make sure your insurance company is A rated or higher by A.M. Best. This is a financial strength rating used in the insurance industry to assess an insurer’s ability to pay claims. Hiscox is a leading, A rated consumer and business insurance provider. They have a BOP that combines general liability and property insurance under one policy. The BOP doesn’t come standard with business interruption insurance, but you can customize it by adding it on. Hiscox calls this “office insurance for fire and business interruption.” With this comes coverage for up to 12 months of lost income. They guarantee 60 days of payroll expenses as well. As is typical, flood, earthquake, and volcano damage aren’t covered. Utilities and computer repair also aren’t covered. The rate for a Hiscox BOP starts at $400 per year, and you can choose to pay your premiums all at once or monthly. They even give you 14 days to review your policy. As long as you haven’t had a claim, you can cancel anytime within that time period and receive a full refund. You can get a free quote and purchase your BOP online. Alternatively, you can go through a licensed insurance agent or broker. Chubb small business insurance is a top contender for buying business interruption insurance. Chubb is A++ rated by A.M. Best, which is the highest possible financial strength rating for an insurance company. They are very transparent about what is included in their BOP, so there are no surprises. The business interruption insurance from Chubb doesn’t just cover your business’s office or primary site location. It also extends to disasters that might affect your company at offsite events, such as trade shows and conferences. Loss of utilities and internet is also covered in Chubb policies. You’re also covered for interruptions in your supply chain from any vendors that you’re dependent on, no matter where they are located around the world. 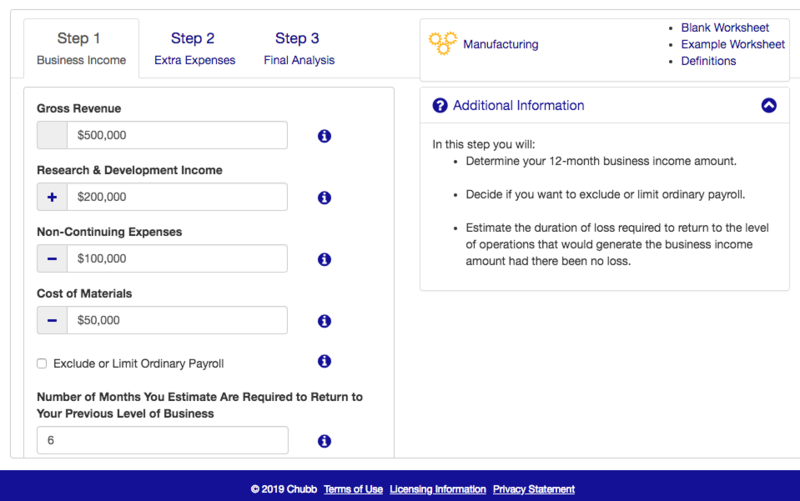 Chubb’s most helpful feature is their online business income coverage calculator. This will remove some of the guesswork out of how much business interruption insurance coverage you need. The calculator walks small business owners through the income and expense calculations to figure out the ideal coverage limits. The Hartford is another A+ rated insurance company that offers various types of small business insurance. Unlike Hiscox, in which you have to pay extra to add on business interruption coverage to a BOP, basic business income coverage is already included in The Hartford’s BOP. That said, the Hartford does offer various customizations. For instance, you can choose business interruption insurance for essential personnel so that your most valuable employees keep receiving their wages even if your business is temporarily closed. You can add coverage for unexpected interruption to your computer network or hacking into your computer systems, something that many other insurers exclude outright from business interruption coverage. There’s also optional coverage if offsite property is damaged or utilities are interrupted. 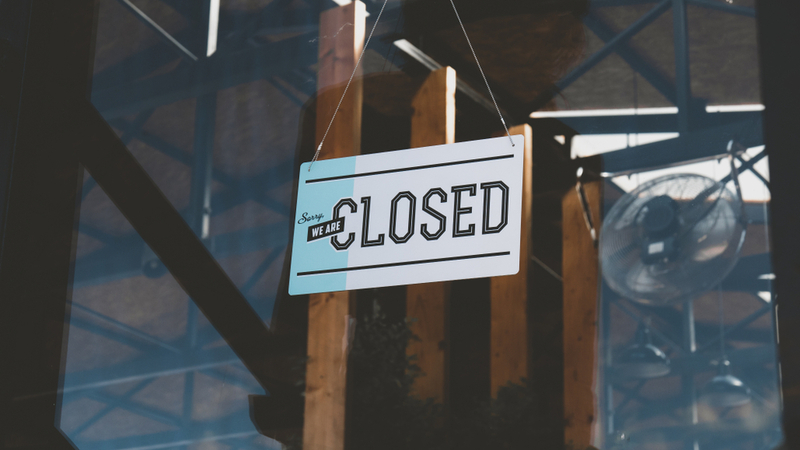 Most business interruption policies stop paying out once your business reopens, but The Hartford recognizes that while your business was closed, your customers might have gone to competitors. They’ll included extended income coverage to help you win those customers back or acquire new customers. You can get a quote online but need to complete your policy purchase by speaking with an agent or broker. A+ rated Nationwide Insurance is a great pick for a customizable BOP. They sell your standard BOP which includes standard general liability, commercial property insurance, business interruption insurance, and equipment breakdown coverage. However, Nationwide doesn’t stop here. They also offer industry-specific BOPs tailored to the risks most commonly faced by the auto, retail, food, and other industries. For example, restaurants tend to need more business interruption coverage because they have more expensive kitchen equipment to replace. It also takes longer for a restaurant to get back in service (due to government regulations on restaurants). Nationwide recognizes these differences with tailored product offerings. Nationwide has a 24/7 phone line if you have a claim or question, and they even employ business experts to handle calls from commercial policy holders. You can request a quote online, but to purchase a policy, you’ll have to work with an agent. CoverWallet is an insurance marketplace that lets you shop around for business insurance quotes. You can apply online within about 15 minutes for a BOP, which includes general liability, commercial property, and business interruption insurance. The nice part, however, is that you won’t just see one quote when you’re finished with the form. You’ll be able to compare quotes from multiple A-rated insurance companies and choose which company is offering you the most coverage for the lowest price. Once you get a policy, you can also add an additional insured, expand coverage, or get proof of insurance online. CoverWallet offers one of the quickest ways to get business interruption insurance. A process that can take days with an insurance company takes just minutes on CoverWallet. Throughout the life of your business interruption insurance policy, make sure you keep accurate records on income and expenses. That way, if you have a claim, the insurance company will reimburse you the right amount of money. Square vs. PayPal Here: Which Is Right for Your Business? Stripe vs. Square: Which Is Right for Your Business? Professional Liability Insurance: Does Your Small Business Need It?